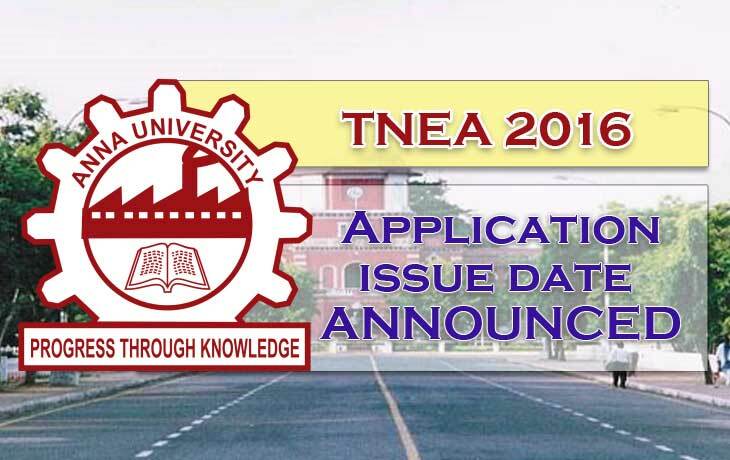 Anna University TNEA 2016 News: Are looking for the Anna University Engineering Application form for TNEA 2016 – 2017 B.E, B.Tech admissions? According to the Anna University Announcement regarding Tamil Nadu Engineering Admission 2016. The secretary of TNEA, J. Indhumathi, who took charge recently for the Admission department of Anna University. She announced the date with the respective team about application issue for TNEA 2016 from April 15. The secretary of TNEA confirmed the date for application registration on online. Also, it will begin from 15.04.2016, and the concern team will announce the single window Counseling dates as soon. The Higher Secondary Exams are coming to an end by this Friday. The Chennai Anna University taking procedures seriously for issuing the applications without any barriers. There was totally more than 500 Engineering Colleges are there in Tamil Nadu under the affiliate of Anna University. Check the Full List of Affiliated Colleges under Anna University from Here. Don’t forget to share this with your friends on Facebook, and other messengers, it will help them to know the latest TNEA updates 2016. Stay tuned for more updates regarding Anna University TNEA 2016 News.